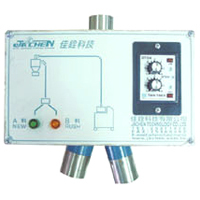 mroportional mixer / proportional controller(JC-38 / JC-50) - Sinchung(Jachen) Technology Co., Ltd.
JC series is mixing for 2 type proportion material. Single set the percentage of each material. Connection the JV series vacuum auto loader material to come into being automatic proportion mixing system. AC series equip with beside injection machine to display its function and valuable. Single set the percentage of each material. It can control to mix proportional exactly. Matching plastic injection machine, blow molding machine, extruded machine and etc. instant recycle by proportional mixing scale.